… This is the title of the poem written by Ludwig Auerbach right here in our Upper Kapfenhardt Mill in 1874. At the Mönchs Waldhotel, we could find no better way to express our love for our homeland, the Black Forest. It all began in 1332. At that time, the Obere Kapfenhardter Mühle (the Upper Kapfenhardt Mill, our parent house) was for the first time mentioned in a charter of Count Ulrich III of Württemberg. The Eulenbach creek powered the mill wheels and the nearby farmers would grind their corn here. While the grain was being ground into flour, the peasants made a stop at the miller’s inn. Soon they were joined by stagecoach travellers and ramblers. This is how the gastronomic era in the Kapfenhardt Valley began. Since 1693, hospitality in Kapfenhardt has been connected to the Mönch family name. With his wife Margaretha, Hans Jacob Mönch took over the Kapfenhardt Mill. Nowadays called Mühlenlädle (Mill Shop), this business is run by the tenth generation of the family. 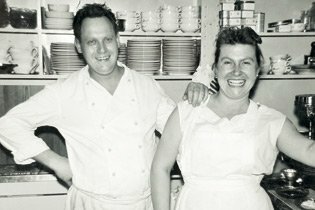 In 1925, Walter Mönch’s parents, Rosa and Karl Friedrich Jr., took over the business and arranged their first guest rooms in the old half-timber house in 1950. While his brothers continued the milling tradition, Walter Mönch was helping his parents with the hospitality business, taking care of the rooms and well-being of their guests. Together with his wife Ruth, Walter Mönch founded the “Ringhotel Mönchs Waldhotel” in 1961. This milestone in the history of the Kapfenhardt Mill and the Mönch family was based on 30,000 Deutschmarks as seed capital, centered around 70 dining seats and 10 guest rooms. 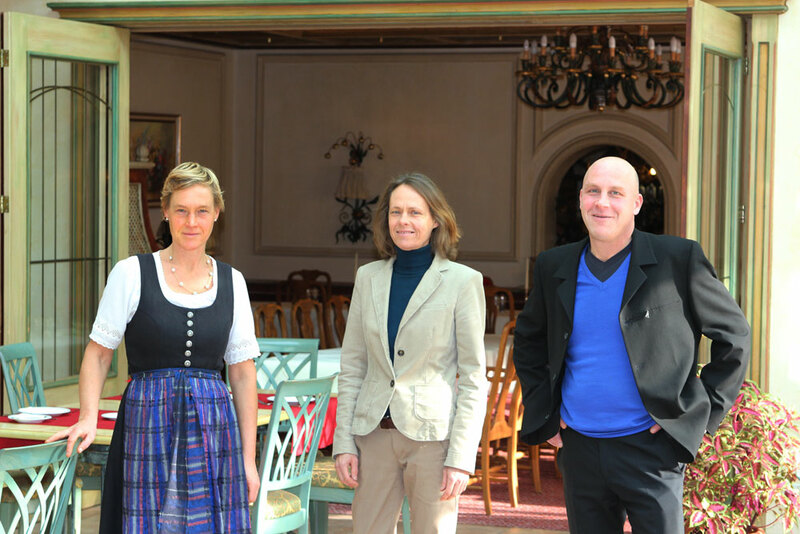 Even Claudia, Andrea and Stefan Mönch, belonging to the current generation of the family, are taking great care of the facility with the commitment and passion to make all their guests feel at home here in the beautiful Black Forest. Proceed to your stay at Ringhotel Mönchs Waldhotel easily and without stress. Via the Pforzheim long-distance railway station you will arrive at the Unterreichenbach station, which is only 3km and a short taxi ride away. Stuttgart Airport and the Baden-Airpark are located only 60 kilometers from the Mönchs Waldhotel. Travel simply door to door. 120 free parking spaces are provided at our hotel. Coming from Stuttgart, take the A8, exit Leonberg West/Renningen. Following Weil der Stadt, Bad Liebenzell and Unterreichenbach, you reach Kapfenhardt and there you are. Coming from Karlsruhe, take the A8, exit Pforzheim West and follow Brötzingen, Büchenbronn and Grunbach to Kapfenhardt. If you are using your navigation system please enter „Obere Mühle, 75399 Unterreichenbach“.